From the happening streets of Beirut to the hustle and bustle of Cairo, one can experience habibi effervescence, bubbling from within a context à la arabesque. Derived from the Arabic for love (hub), the word habibi, is usually used to refer to the loved one or the darling. Interestingly, the word in its masculine form (habibi), is used in reference to both the masculine and feminine. The word (habibti), its feminine equivalent is seldom used, especially in the romantic and artistic fields, both modern and archaic. 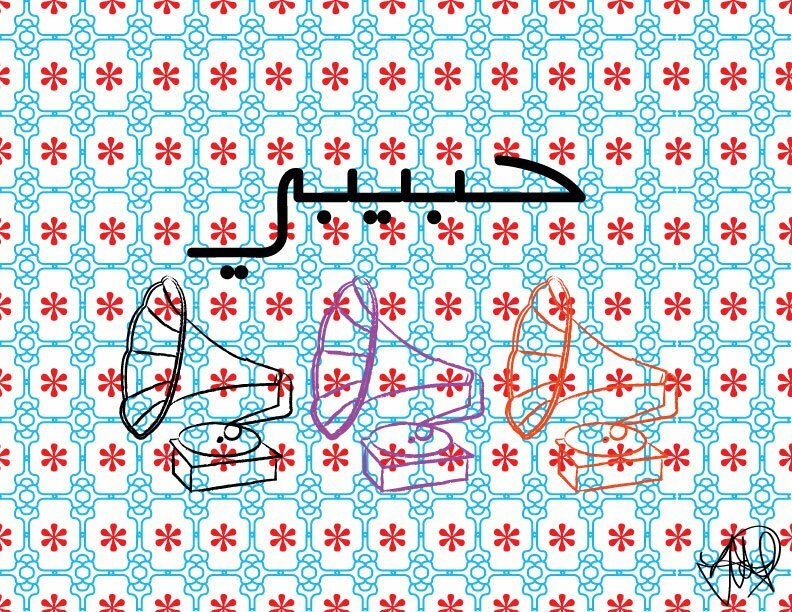 In contemporary day, habibi has become a household term used to represent the Arab world. This is perhaps a resulting of Arabic music’s excessive use of the word. 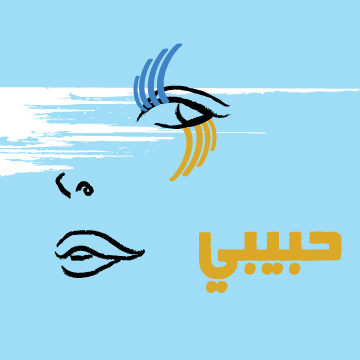 Golden oldies and contemporary pop alike have equally served the term as a repetitive emotional expression, locked on the tongues of legendary artists like Om Kalthoum and Amr Diab alike. Today habibi’s usage has transcended beyond the the romantic and emotional. Today, the term is used synonymously with man, dude or mate, surfacing a platonic, casual connotation to the term. And then I fully embraced it. The Fall is a great album. Questions on the record’s resilience, and how much of a music shift Jones really took were completely dispelled today. Perched on my computer at work, I wondered what it was that allowed me to finally come to such a conclusion. 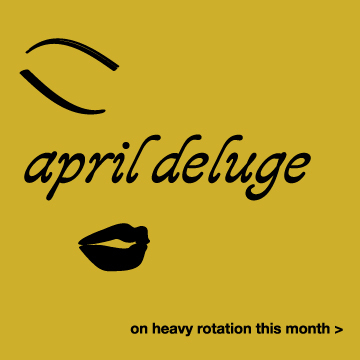 Perhaps it was a pathetic fallacy unravelling (as the season’s are changing and we’re experiencing quite a chilly April), or my relating to Jones’ more recent personal and music emancipation. 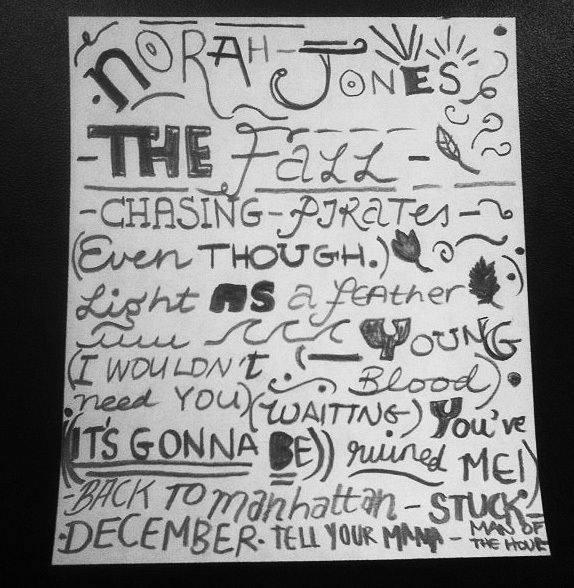 Since it’s November 2009 release, The Fall has been on heavy metaphorical rotation on my iPod. I suppose that makes me a dependable listener of the songstress. Regardless, there is something about this record that’s special and perhaps Jones’ best work to date. Simple, varied and delicious, Café Orlin’s offerings can be best described as unpretentious yet eclectic. Think, Middle Eastern meets gastropub: falafel, pasta, pumpkin pancakes or Middle Eastern eggs for brunch. On gorgeous breezy summer days, the patio, although overcrowded can still be a delightful experience, over a glass of wine or a boldly composed espresso. Not too starched and certainly not too spiffy. Post economic hemorrhaging, today’s account executive needs to shake off all the illusions and pretensions of the doo-dah days and keep it amiable. It’s still important to stick to a silhouette that complements your expertise and people skills. Keep the most part of your ensemble somber but play with sparing pops of color and layer with an interesting sport coat, like this Jersey Blazer. Vintage Tuxedo Shirt from Martin + Osa ($79.50), Skinny Fit Trousers from Topman ($80), Jersey Blazer from Topman ($138), Perforated Penny Driver from Prada ($460) and Trooper Bag ($215) from J.Fold. In spirit of optimism, some obscure notion of job stability and perhaps an economy piqued, I’m compiling looks for the working man, the job seeker or professional poseur. 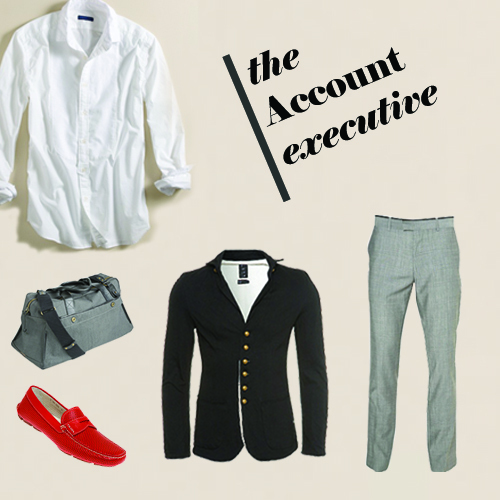 Whichever man you are, here’s a work-look to don for those of you in the creative field. Designers, writers, artists, photographers and those of you in-betweeners, here’s how to really look like you’re basking in artistic expression and professional acumen. 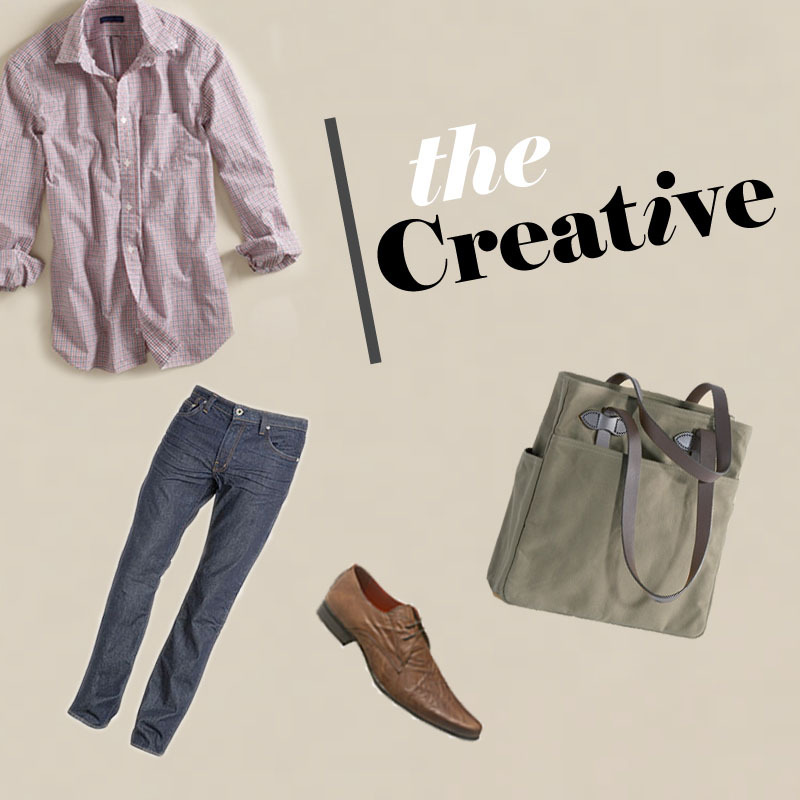 Broken-In-Button-Down from Martin + Osa ($59.50), Dylan In Boone, Slouch Tapered denim from J Brand ($165), Classic Pointed Lace Ups from Topman ($76) and Rugged Twill Tote from Martin + Osa ($99.50). So for a sandwich that has no bread, a lot of chicken and cheese it faired well. The chicken itself was spicy and so was the cheese, which included a slice of Monterey and Pepper Jack. The sauce was interesting. I would have appreciated an even smothering throughout, as opposed to a glob on one side. It is important to note how salty the sandwich was to begin with, thus I’m not sure if the bacon had anything to add to the experience. I had mine without, as I do not oink. Kudos go to KFC for conjuring up a relatively avant-garde take on something not so groundbreaking when you really think about it. Despite the buzz, I doubt this one will be a staple on the Colonel’s menu.